21 February 2012 Stew Sexton, Accessibility Advisor at Arts Access Aotearoa, recently found himself high above the stage at the new Q Theatre in Auckland, its lighting rigging accessible and spacious enough to accommodate his wheelchair. Last year, Arts Access Aotearoa in partnership with Creative New Zealand conducted a survey of arts organisations and their accessibility. As part of the survey, Stew visited 16 touring arts organisations, galleries and venues to discuss their accessibility requirements. These included marketing to disabled audiences, the website, the physical building, staff attitudes and disability awareness training. In general, Stew found that the organisations and venues surveyed were physically accessible. However, they needed to ensure patrons knew about the venue’s accessibility. Some venues have included an accessibility page on their website, outlining access to and around the venue. Since the survey, Stew has been working with Arts Access Aotearoa to prepare a report with feedback on each venue he visited. He is also preparing a disability awareness training programme that can be taken around the country and presented to interested venues and organisations. The training programme is designed to be flexible enough to match the needs of each organisation. Last year, Arts Access Aotearoa partnered with the Wellington City Council and established an Arts For All network of Wellington arts and cultural organisations, including Te Papa, Circa Theatre and City Gallery Wellington. It also includes representatives from the disability sector. Lunchtime sessions were held, looking at ways that organisations could be more accessible to people with mobility, visual, hearing and learning impairments. For instance, the use of audio description during performances was discussed. Circa Theatre subsequently presented an audio described performance of Four Flat Whites in Italy for blind and vision impaired audiences. Arts Access Aotearoa is taking the Wellington network model around the country. 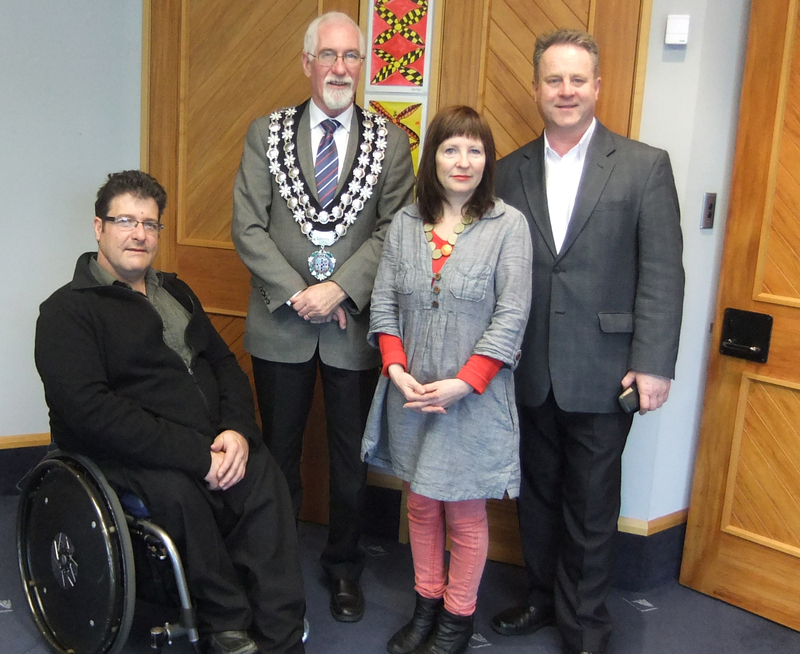 So far, it has introduced it to local councils, disability representatives and the arts community in Dunedin, New Plymouth and Auckland. Stew says he would like to see venues holding open days where disabled people were welcomed into the space, and could work with staff to identify any access issues and how they could be addressed. “It could be run in conjunction with performance rehearsals so that visitors also got a taste of what’s coming up,” he says. 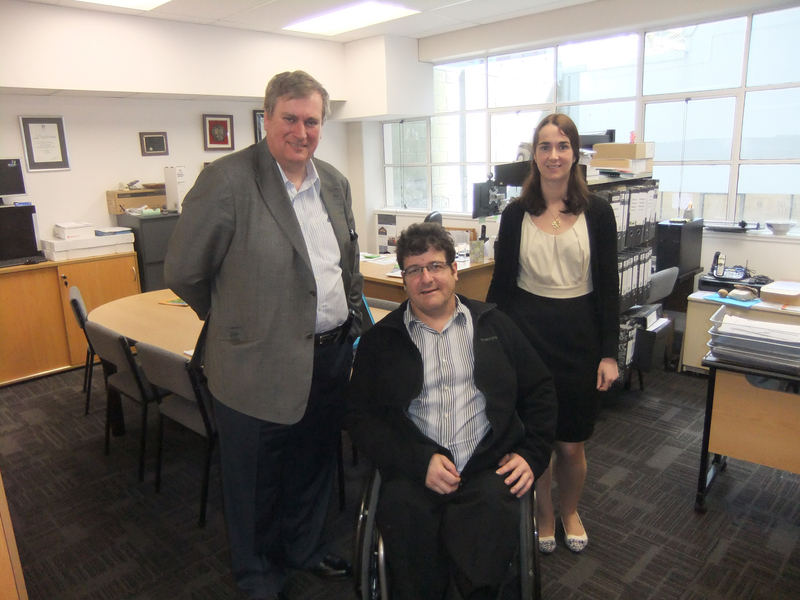 Stew runs his own business, AbilityDis Consulting, providing services as an accessibility awareness consultant to organisations, private businesses and government departments. He also works with other disabled people, developing their skills and providing motivation for them to pursue their goals. 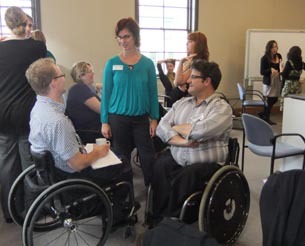 If you would like advice on how to be a more accessible arts venue or how to access arts venues, read Arts for all: opening doors to disabled people, published in 2009 by Creative New Zealand in partnership with Arts Access Aotearoa. Download copies of Arts for all: opening doors to disabled people. Additional resources such as checklists for venues and exhibitions are available online.